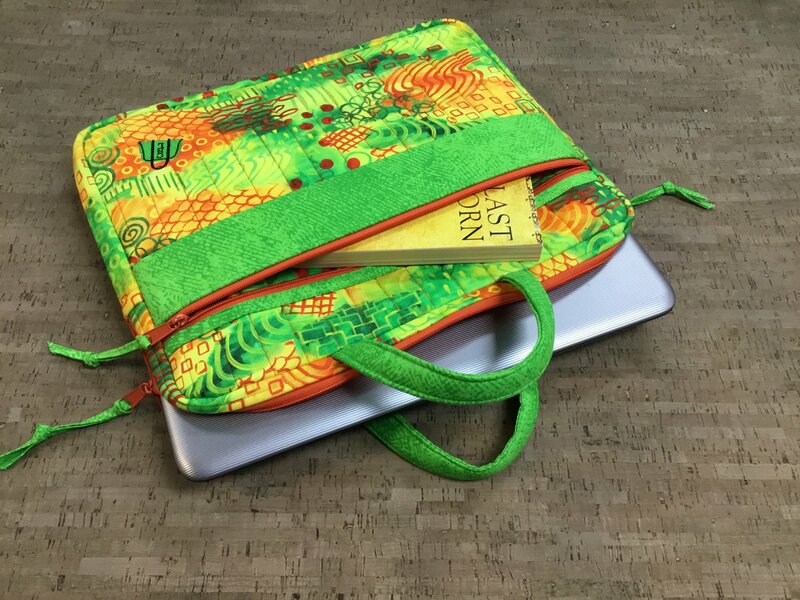 Carry all your business or school needs, including your laptop, comfortably with this stylish laptop case made in your favorite fabrics and colors! This padded laptop case features a zippered closure, front zippered pocket, full inner zippered mesh pocket, and will hold up to 15” laptops. Learn all the techniques you need to then make, on your own, a more advanced carrier with 8 pockets, handles, an adjustable carry strap and a back strap to hook over the handles of your rolling luggage. A half hour break will be provided for each session. You are welcome to bring a packed lunch or a snack.